Richard practiced law with a prominent Philadelphia law firm for over 30 years, where he served as chair of the fiduciary department and for a period of time was managing partner. 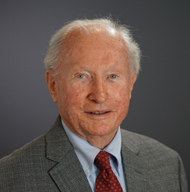 In 1992 he opened his Montgomery County practice where he devoted his time almost exclusively to estate and trust planning and administration. 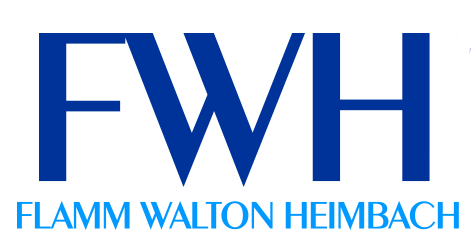 Richard joined FWH&L in 2014. He enjoys working with clients on matters involving estate planning, drafting wills and trusts (including special needs trusts), settling estates and administering trusts. In matters ranging from preparing a simple will to arguing in the Pennsylvania Supreme Court to preserve a trust and claim contested distributions, Richard helps clients to accomplish their objectives practically and without waste of taxes, effort or expense. Richard has frequently lectured to attorneys and professional groups regarding estate planning, powers of attorney, health care directives and wealth management. Our client enjoyed a substantial income as the beneficiary of her father’s trust. She wanted to arrange for her children (one of whom was disabled) and grandchildren to live comfortably with income and, if necessary, principal. But she faced a jumble of estate, gift and generation skipping taxes, existing beneficiary designations and old plans. By coordinating powers of appointment over the parental trust, a variety of tax saving measures and revising or replacing old documents we presented her with a coordinated plan for long term trusts at low tax and maintenance expense. Our client’s grandfather had created a trust which was to continue for several generations paying income to his issue. When her father died she and her brother became the beneficiaries of what had been her father’s share of trust income. The client’s stepmother’s children, whom her father had adopted as adults after he remarried, claimed they had thereby become grandfather’s issue and were entitled to shares of the trust’s income. In the Pennsylvania Supreme Court we argued that the stepchildren’s claim was banned by the principal of res adjudicata (that is, that a party isn’t permitted to re-litigate a previously decided matter) and that grandfather’s use of the term “issue” must have been based on what the word meant when he used it, not as people would use it seventy-five or a hundred years later. The Court agreed; our client’s income continued intact. A wealthy man died early in the twentieth century leaving his estate in trust to pay $8,000 annually to his two unmarried daughters. After the Great Depression, the value of the trust principal shrank, as did its income, so the Trustee for many years paid the daughters only the income, which, until the 1960s, was less than the $8,000. per year, then, for a few years the Trustee resumed the full $8,000 distributions. The daughters died, leaving their estates to their church, and the Trustee prepared to distribute the now substantial principal to the wealthy man’s cousins. The daughters’ executors consulted us. We reviewed the trust document and the Trustee’s records and concluded that the Trustee had shortchanged the daughters during all the lean years. The total amount of which the daughters had been deprived, plus interest, exceeded the whole value of the trust, so, on behalf of our client, we claimed it all for the estates, arguing that it’s better to pay the right people late than to pay the wrong people. The cousins objected. The Orphans’ Court decided in our favor. The cousins appealed to the Pennsylvania Supreme Court; which affirmed the Orphans’ Court judgment and decided in our favor; the church finished its education wing.